Bungalow composed of 3 bedrooms, 2 bathrooms, an independant and fully equiped kitchen and a dining room. Outside features include terrace and balconies. The bungalow is located in a private residence, with swimming pool and garden. Ideally located, just facing quiet Bain Boeuf public beach, but only 2.5 km away from Grand Baie shopping area, easily reachable by bus. The closest supermarket is at around 600m with smaller shops even closer. 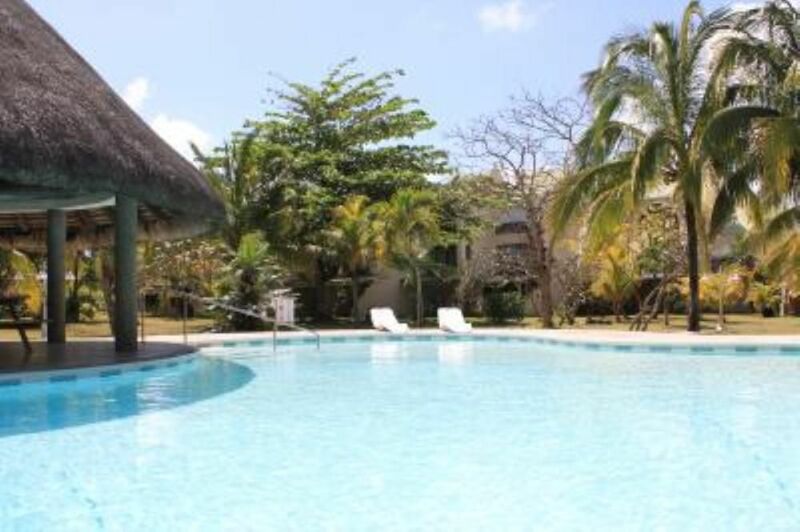 At the Coin de Mire Hotel just nearby, you can take advantage of well organised water activities, including scuba diving. (Text automatically translated) Direct highway from the airport to Grand Baie. Then follow the coastal road. The residence is located next to the Hotel Coin de Mire.